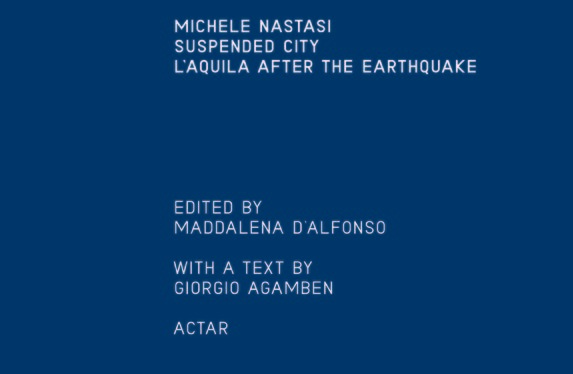 The photographs taken by Michele Nastasi of L’Aquila after the earthquake lay the city implacably bare as a place where it has become impossible to live: a deserted and surreal landscape, choked with structures shoring up the buildings and fixing the city in a state of suspension without any time limit. The photographs, accompanied by drawings and essays written by Giorgio Agamben and Maddalena d’Alfonso, conjure up images of surgery: prostheses, braces and splints stabilize the body of the city, but while the operations have been a technical success, the patient shows no signs of life. 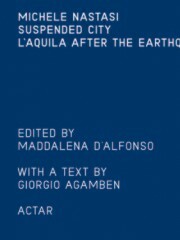 The picture of L’Aquila presented here is not just a record of the catastrophe of the earthquake and its aftermath, but an image that has become exemplary of some decisive changes underway in the whole of European and Western culture. What is brought into focus in this book is the shift in political paradigms and the nature of government action, the febrile relationship of culture with history and the need to restore the experience of the community and urban living to its central role as a forge of identity.